What does the word “hostel” bring to mind? The answer probably depends on whether or not you’ve actually stayed in one. If you have, then you may have the fond memories that hostels are supposed to build. You may have found one that was tucked away in that oh-so-perfect part of the city. You might have met an amazing cast of characters and earned friendships for life. But if you haven’t stayed in a hostel before, then my guess is that you have an image in your head of what a hostel is—and it’s probably off the mark. There’s certain misconceptions about hostels that come with the territory. There aren’t many areas where I claim to be an expert—but as the owner of a top-rated hostel and as an enthusiastic guest of 150 (and counting) hostels across the globe, I’m probably better informed than most. By this point, I’ve heard, seen, read, and done it all. Hostels aren’t just a young person’s game. I write this while sitting across from Helen, probably the most entertaining and beloved guest we’ve had at HK Austin—who also happens to be 71 years young. This is probably the biggest misconception about hostels. Yes, hostels were originally marketed to a young European demographic, but the term “youth hostel” is a bit antiquated. The truth is, both the affordability and the camaraderie of hostels have made them hugely attractive options for older travelers, many of whom are traveling on a budget. You add to that the fact that older travelers can often be less encumbered; their kids may have left the house, they may be traveling alone, they may have no particular itinerary in their heads. All of those things make hostel travel not only an option, but a preferable one to the more sterile and drab accommodations offered by hotels. Don’t let movies and media fool you: Hostels can be a dream come true for older travelers and a welcome adventure for people looking for something a little different. Although some hostels position themselves as “party hostels”, the vast majority do not encourage partying within their walls. There’s a simple reason why: most hostel owners—myself included—want nothing to do with the chaos, crying, broken furniture, and general unpleasantness from a hostel that’s known for partying. The social atmosphere within a hostel is a huge part of what makes the experience—but that experience doesn’t necessarily have to involve getting boozy. In fact, the best hostels don’t use alcohol as a crutch. They create an atmosphere organically that leads people to explore the city, cook meals together, trade stories long into the night. At HK Austin, we host big BBQs, play cards, and host trivia nights. It doesn’t mean we don’t crack open the occasional bottle of wine, but that’s not what makes the experience of staying here special. If you’re worried about your would-be hostel turning into a frat party, check to see if they enforce a “lights out” or quiet time each night. Read the most recent reviews and see what people enjoyed most about the hostel. Odds are, it’s probably the fellowship of the people who were there, not the drinking. This is a personal point of frustration: All hostels are not exactly alike. Just as hotels can span the gamut from Motel 6 to the Four Seasons, hostels can be just as diverse and different. Don’t let one hostel story color your view of all hostels. For one thing, as hostels grow in popularity, a natural segmentation will occur; but until then, understand that not all hostels are marketed to the same demographic. Take, for instance, the most widely accepted categories of hostels, such as: “poshtels” which are a growing market of luxury hostels with amenities that rival any boutique hotel; “adventure hostels” that specialize in excursions and exploring the outdoors; “hacker hostels” or co-working/co-living spaces which cater more towards the startup crowd; and, of course,the infamous “party hostels”, which cater to those looking to get wild. In between, there are a dozen other varieties, all of which provide unique and different experiences for guests. The first hostel I ever stayed at was geared towards families (I was unaware). The early curfew, children playing, and general family vibe didn’t mesh well with the 22 year old me who was traveling solo. Had I allowed that to determine my outlook on hostels as a whole, I may have never stayed in another and almost certainly wouldn’t be writing this article. If one hostel doesn’t fit your style, there is bound to be another which does. Hostels can sometimes be viewed as the amateur younger brother of hotels when it comes to the behind the scenes operations. While some of the best hostels are still one-off locations run by eccentric former backpackers, the industry as a whole is extremely sophisticated. In Europe, there are established chains such as Generator Hostels which manage over 12,500 beds across 15 properties. Another is A&O Hostels, with 27 locations across 18 cities. Hosteling International has over 4,000 locations worldwide. In the United States, the billionaire Ron Burkle dedicated $250 million in 2011 to open hostels across the US. His “Freehand” hostels have since seen great success in Miami and Chicago- so much so that he recently announced a $55 million investment to create a new hostel in downtown LA. That all seems fairly professional to me. The growing investment in the US hostel scene is creating a market in which institutional money can make a play. This means over the next decade we’re going to see a variety of well established operators making hostel plays, and bringing the industry even more into the public’s eye. My cousin thinks hostels are “a frat house with a language barrier.” This same cousin has never been to a hostel, or traveled outside her state of birth, but she is convinced hostels are dirty. I can understand the logic, if we assume all the other misconceptions. How can something stay clean with a dozen 20somethings funneling beers in every open corner? In reality, you’ll often find the best hostels have a more regular cleaning schedule than your favorite hotel. Since the concept of shared space is emphasized, hostels have very regimented cleanings to ensure everything is kept nice and tidy for the many coming and going guests. The guests themselves generally take it upon themselves to clean up a bit for the same reasons. Sure, there have been more than one occasion where I was afraid to take off my sandals in the bathroom or go under the sheets when checking into a new hostel. And I don’t think I’ll ever forget the smell of a certain hostel in Brazil. But that was the exception, not the norm. The same thing can be said of hotels or airbnbs. To ensure a hostel meets all your hygienic needs, you can always look at a hostel’s cleanliness rating on hostelworld.com, and see in real time just how clean those hostels are kept. I’ve never encountered someone staying at a hostel because they had no other options. Hostels aren’t homeless shelters, and people stay there because of a love of travel and a passion to experience the community atmosphere. They know they can get an almost hotel-standard accommodation with the real possibility of making lifetime friends and memories. Here at HK Austin, our guests have included venture backed CEOs, bestselling authors, Grammy winning musicians, and dozens of other interesting people all of whom could have afforded any hotel in town. Why do they stay with us? Easy: to take advantage of the communal atmosphere and avoid the boredom a stay at a traditional hotel. Think about it, how many people have you ever met at a hotel bar? Staying at a hostel isn’t a reflection on someone’s bank account, it is a reflection of their personality. “Surely all these poor people in the hostel will rob me!” My cousin didn’t say that, but I can imagine her, and others who have never stayed in a hostel, saying something similar. Another poorly conceived concern that comes with shared accommodation is theft. When you first arrive, there are strangers anywhere and everywhere. Lessons from our parents about ‘stranger danger’ come flooding back. To ease this concern, most, if not all, hostels provide lockers for any valuable items within the rooms. There are also door codes, CCTV cameras, and other security measures. In reality, none of these are necessary; the stranger in your room is there for the same reason you are — to explore a new city, meet some new people, and generally have a good time. Almost every day for the past two years my MacBook has lived unguarded in HK Austin’s common room (and many times my cell phone, keys, and wallet). I’m still typing on it now and the only times it has ever disappeared is when another guest has put it away in a locker for me. If the thought of someone sleeping above you keeps you up at night, fear not. The vast majority of hostels offer private rooms as well as dormitory bunks. Hostel owners understand that sometimes you just need a little more privacy. When you’re looking at a hostel booking site, you will be able to narrow down your search to see hostels that provide private rooms. Or semi-private rooms if you still want to share a room with a friend, but not 5 other strangers. That way, you’ll be able to enjoy the atmosphere of the hostel, while still having a quiet space to relax, sleep, or whatever else you want to do without an audience. If you’re not yet familiar with the term hostel, you may soon find yourself in the minority. Hostels, a staple in the budget travel world for years, have entered the mainstream, with everyone from institutional investors to major media buzzing on what is poised to be one of the biggest travel trends of the next decade. 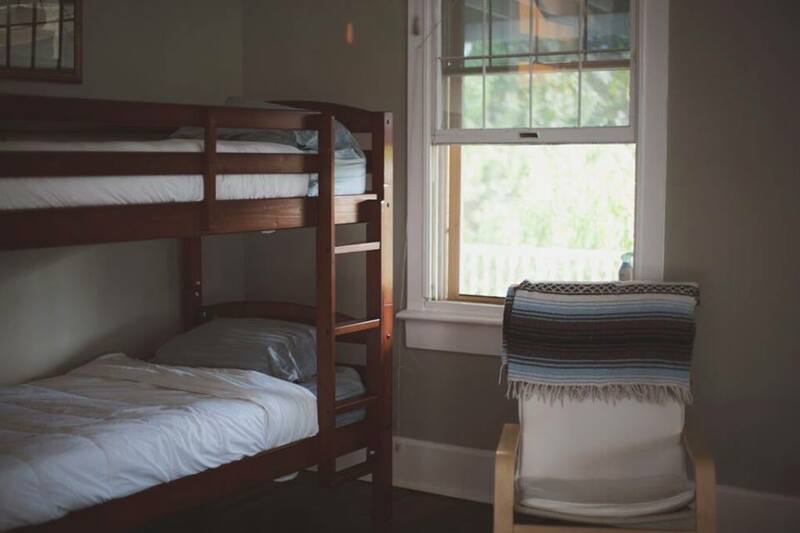 For the uninitiated: hostels are shared accommodation spaces, typically including bunk beds in dorm style rooms with shared common rooms and group activities. Travelers seek out hostels not just to stay inexpensively in new cities, but to tap into a social atmosphere and meet more people than they would in a traditional hotel. 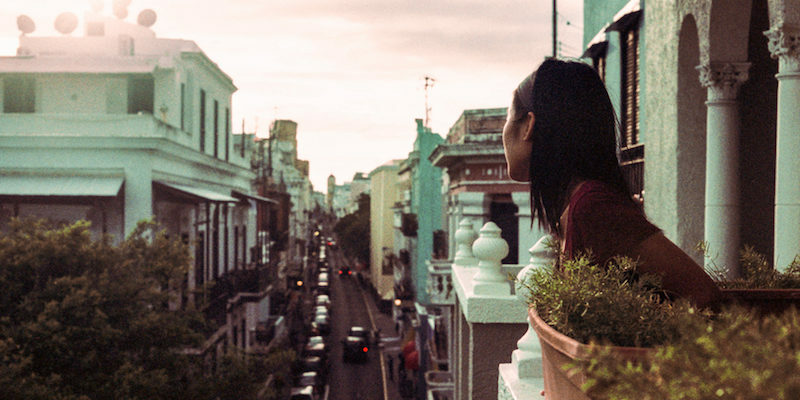 Hostels offer experiences, not just a place to sleep, and they draw visitors in with tours, intimate local adventures, and an ambiance that offers a deeper connection with the place they’re visiting. This isn’t a new idea. The hostel has a long and storied history in Europe, where there are over 10,000 hostels,compared to about 300 in the US). And yet, for all their success on the other side of the Atlantic, they have only recently gained a foothold in the United States. The US has just 3 percent of worldwide hostel properties and 10 percent of global hostel revenue; to put that in perspective, the U.S. represents a commanding 28 percent of global hotel revenue. Hostels can seem mysterious and inscrutable to people who haven’t stayed in one. While the majority are independent locations run by former backpackers (including your’s truly), many of the world’s established hotel brands have recently announced plans to enter the hostel market. Global real estate funds, billionaires, and other institutional investors are poised to pump millions into hostels. All of which suggests that the market is about to balloon in size and scale. A brief scan of internet headlines can only lead to the conclusion that “millennial” is the most overused word of our era. But permit me another mention of this cohort. Why? Because they are big spenders, and their dollars are headed to hostels. By 2020, millennials as a group will pump $1.4 trillion into the economy, according to a recent report from Accenture. That’s trillion—with a ‘t.’ A decent chunk of that money will find its way into the travel and hospitality industry. And Millennials do not travel the way their parents did. For one thing, Millennials aren’t looking for your standard issue hotel room. That fact is not lost on anyone, including Marriott’s head of global operations, who offered the pained confession that “what we’re finding is that the next-generation consumer wants the exact opposite of what we’re delivering.” Not exactly the come-stay-with-us slogan you’d expect, but at least he’s honest. 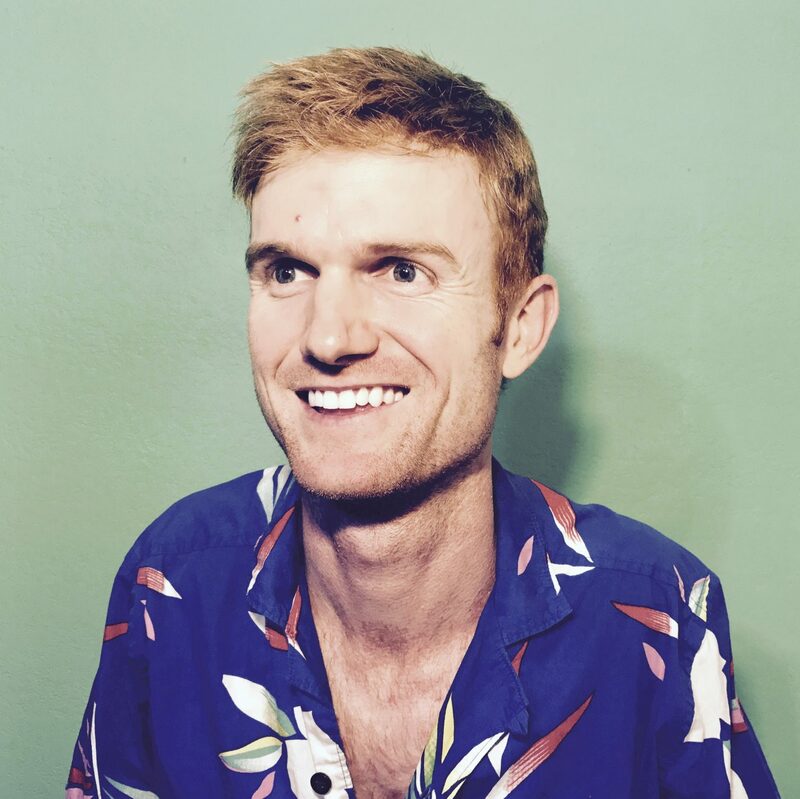 And he’s right: Millennials as a traveling group are quirky. They value experiences more than material goods. They treasure hospitality over simple lodging. Much though their selfie-taking may drive people crazy, they’re looking for things that will make them look interesting on Instagram. You’d be surprised at how that can influence the way they travel, but think about it: Would you rather snap a photo of yourself in a cookie-cutter Marriott lobby, or in the common room of a boisterous hostel? Depending on your age, you may not be able to answer that question, or you may not get how important it is. Believe me, Millennials do. How do hostels fit into that consumer picture? Well, hostels offer plenty of photo-worthy opportunities (as I know from personal experience). But more than that, they offer authenticity and uniqueness. No two hostels are the same, whereas hotel chains go out of their way to maintain a consistency of experience. At a hostel, you never know what to expect; hotels make their bones on living up to expectations. Millennials want the unpredictability of hostels over the stale, seen-one-you-seen-em-all quality of hotels. If they can succeed, they won’t need to wait till later in Millennials lives to see returns. Millennials are traveling more than ever and outspending almost all other demographics. Stay Wyse forecast spending by young overseas tourists around the world to rise to $336 billion by 2020 from $230 billion in 2014. Another report by the independent travel research company Phocuswright showed hostel travelers spend more in absolute terms ($4,474) than the general traveler ($3,155) yearly. If Millennials spend more than the general traveler and want what hostels provide, it doesn’t take much to envision the next wave of hospitality that will hit America. Institutional money is flowing into hostels—to the tune of millions of dollars. There’s that old line about the bank robber Willie Sutton. When asked why he robbed banks, he replied, without missing a beat, “Because that’s where the money is.” Investors operate on the Willie Sutton school of making a buck—and they are seeing the potential in the hostel market as well. They are investing big dollars. In 2011, billionaire Ron Burkle raised $250 million to open up hostels are the United States. His “Freehand” creations are now a fixture in the accommodation scene in Miami, Chicago, and LA, with more planned. In Europe, the French real estate investment company Fonciere des Regions set aside around 400 million euros ($450 million) to invest in European hostels through 2018. London based Patron Capital Partners purchased the majority stake in Generator Hostels in 2007 and pledged to invest $200 million across hostel properties. They sold 23 percent of Generator in November 2014 to Invesco Real Estate for $60 million. Why does institutional investment matter? Credibility. When big players put their money on the line, more investors follow. The signaling effect of big investment is powerful, and the marketplace opens up as other institutional investors become more comfortable investing. Liquidity opens the doors to big time money, and when checks start having nine figures before the decimal, they’re sure to attract some attention. Hostels are becoming as American as apple pie. Lack of awareness has long been hostel’s greatest enemy in America, but that has begun to change. At this point, the most mainstream of the mainstream media has begun to devote coverage to the trend. The hostel trend has attracted attention from The New York Times, The Wall Street Journal, The Washington Post, USA Today, CNN, and many more in the past 2 years. Why does that matter? Because it helps to puncture all the negative stereotypes that people have about hostels. It opens the very idea up to a new audience, and it can even make them seem interesting and hip. Those of us who have stayed in and worked in hostels knew that already—think of us as hostel hipsters—but it’s refreshing to see it confirmed by the more reliable sources of information the public has. I’ve seen the effect in my own hostel. Here at HK Austin, I can’t tell you how many times I’ve heard “this is my first time at a hostel” when hosting an American traveler. It’s only a few days after that that they come up to me waxing about how great the experience is, how they wish they had known about hostels earlier, and about how they will only stay in hostels from here on out. I’m proud of what we’ve done at HK Austin, but I don’t think we’re unique in inspiring this kind of conversion. It’s a self-serving cycle: As more travelers stay in hostels and have good experiences, more people hear about hostels, who in turn book more beds in hostels. Who knew that sharing—the simple virtue all parents try to instill in their kids—would become the foundation for an entire economic movement. We share our cars (Uber), our homes (Airbnb), our workspaces (WeWork), our photos (Instagram), our thoughts (Twitter), and even our sources of information (Wikipedia). The communal aspect of daily life has exploded as access and ease of use has reached these services. People more than ever value access over ownership. All this is good news for hostels. As people become exposed to the benefits of things like airbnb and can experience first hand the difference between hospitality and lodging, they’re coming to realize the power of real social interaction. Hostels, being on of the original ‘sharing economies’ out there, have long provided this interaction. The communal aspect is the reason travelers have stayed in hostels for decades, and as our culture becomes more familiar and comfortable with sharing (as evident by all the examples above) hostels are positioned to benefit. The next decade will be an exciting time in the hostel world. With the number of hostels expanding across the US, there should also be a natural segmentation that occurs within the industry. Just as hotels can span the gamut from Motel 6 to the Four Seasons, hostels can be just as diverse and different. From party hostels to “poshtels” there is bound to be a hostel catering to your desire. And soon, you won’t have to look for to find one. I also think that the hostel trend could anticipate a broader one within travel itself: the idea that travel is more about experiences and the people you meet than the places you go and the luxury you enjoy. I’m no sociologist, and I don’t play one on television, but I think part of the reason hostels have acquired so much attention is because people recognize that they feel less lonely, more engaged, and more connected when they travel hostel-style. It’s easy to go to a hotel room alone; eat at the hotel restaurant alone; walk the streets of a new place alone; and return home, feeling like you are maybe a bit better traveled, but not changed fundamentally. I don’t think that’s possible in a hostel. Just in the way they’re designed, you can’t be alone. Food is nearly always a communal experience. Travelers are looking to travel together, stay up late into the light talking, and go to local haunts as a pack. It is, in the end, a cure for all the loneliness we say we feel (or at least what we tell researchers we feel), and it’s a useful counterweight to the pre-packaged, adventure-less exercise that travel can become. Maybe that’s taking it too far, but I don’t think it is. But hey, if you want to hash it out with me, come to the hostel. There will be a group of people here, ready and willing to have the debate.